New details have emerged about the alleged shooter in last week’s deadly high school attack at a Maryland high school, authorities said. Suspect Austin Rollins, a student at Great Mills High School, shot himself in the head at the same instant the school’s sole resource officer, Deputy Blaine Gaskill, fired one nonfatal shot that struck Rollins’ hand, according to the St. Mary’s County Sheriff’s Office. Rollins has since died from the injuries, after allegedly shooting two other students, one of whom also later died from her injuries. The other student, Desmond Barnes, survived being shot in the leg. 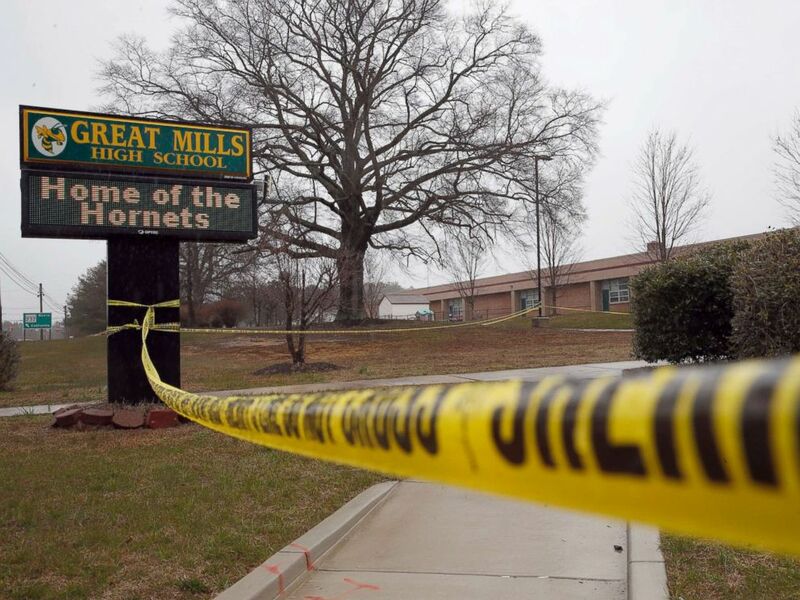 Crime scene tape is used around Great Mills High School after a shooting on March 20, 2018, in Great Mills, Md. Prior to their investigation, authorities had been unsure whether the officer or the suspect fired the fatal shot. A timeline created by the sheriff's office details how the shooting unfolded. 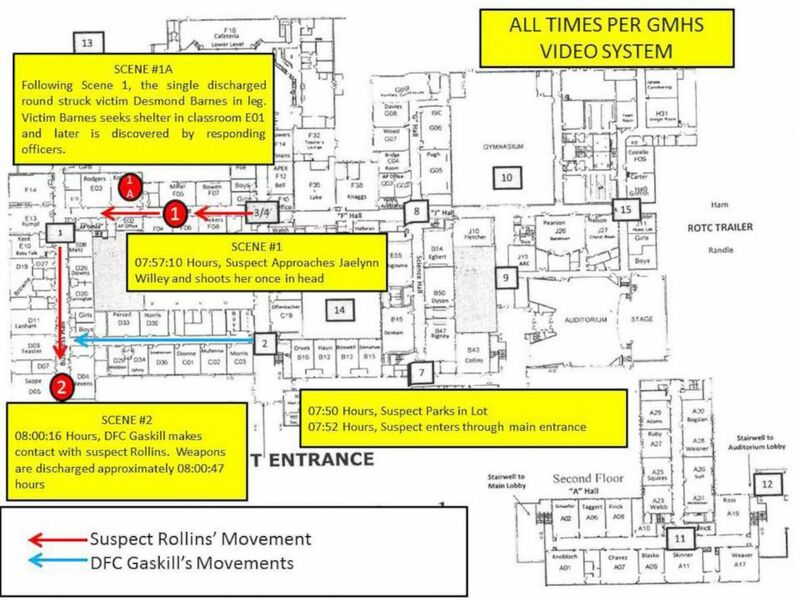 A timeline of the shooting at Great Mills High School in, Great Mills, Md. Rollins allegedly shot Willey and Barnes in a school hallway just before classes began last Tuesday, police said. Both were transported to a hospital, with Willey in critical condition. Willey's mother Thursday tearfully announced her daughter would be taken off life support. 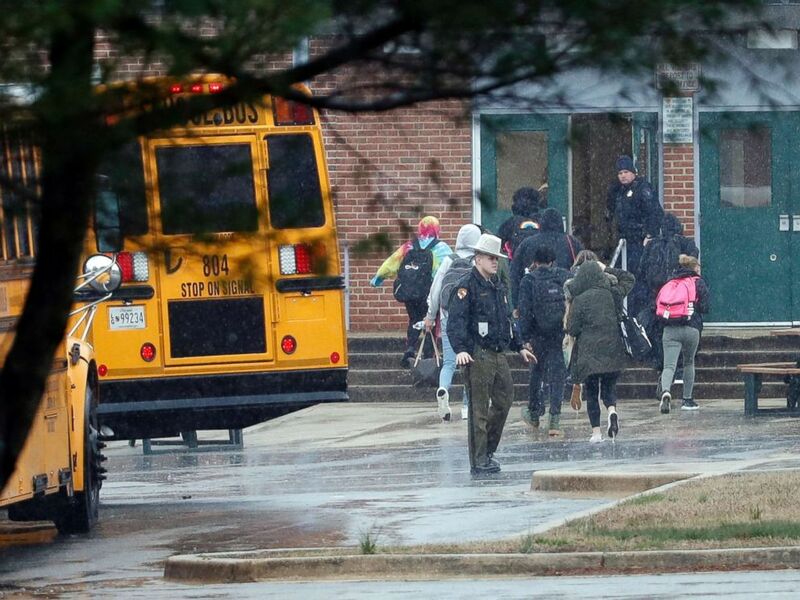 Police move students into a different area of Great Mills High School, the scene of a shooting, March 20, 2018 in Great Mills, Md. Authorities later discovered that Willey and Rollins had a prior relationship, which, they said, had recently ended. The investigation is ongoing.